In the words of director Hanna Lawson, ‘Sweet Charity is a fun show’. And it is. The story of the hopelessly naive romantic Charity, as she takes on the New York night life in search of love, is a treat from beginning to finish. The show is carried by an incredibly strong cast. The comedic timing is outshone only by the stunning vocals of broadway quality. Notably Charity, played by Ella-Rose Nevill, who perfectly captures Charity’s never waning optimism and humor, and has a vibrato to die for. She is matched by Linus Erbach’s Oscar, whose nervous breakdown in a stuck elevator is knee-slappingly funny. Coggin Galbreath’s Vidal is equally ridiculous and hilarious, and has a voice that makes him very believable as a 60’s heartthrob à la Gene Kelly. Charity’s two partners in crime--dance hall hostesses Helene (Liliana Potter) and Nickie (Rachel Munro)--also bring their characters to life with outstanding vocals and charisma. The show is heightened by the playful set (Caelan Mitchell-Bennett), a slightly wonky New York City skyline that transforms into clubs and ferris wheels. Another highlight of the show is the gorgeous costumes; there’s sparkles for days with Kat Reynders’ detailed dressing of the big cast, where no one wears the same dress twice, and has me wonder if I’ve ever seen so many sequins in one room. It’s truly a collection of vibrant costumes and set pieces that draws your attention and doesn’t let it go. Although the band had a few weak moments, they are quickly forgotten in the stronger numbers, such as the classic “Big Spender” and “I Love To Cry At Weddings” that are utterly charming. The choreography by director Hanna Lawson captures the spirit of the show; it is slick yet funny, and although some numbers are slightly sloppier than others, the energy and dedication of the cast makes you forget whether or not a jazz hand is out of place. The professionalism of the cast and the strong direction carries the production through the technical mishaps and weaker moments of the show, making them more than forgivable. 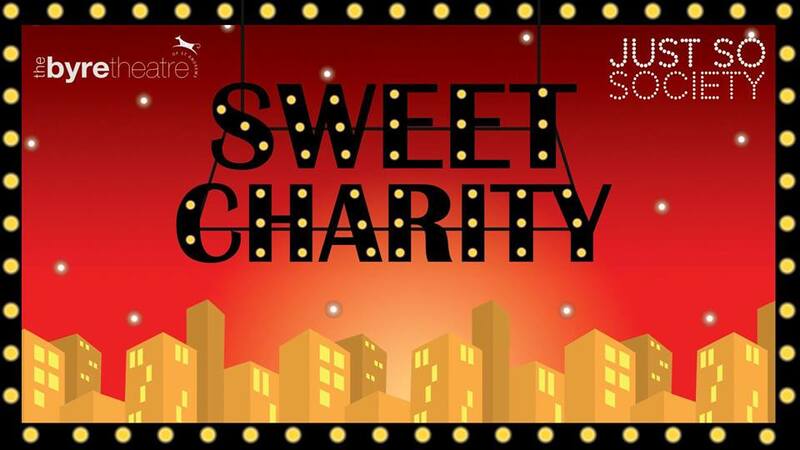 Sweet Charity is a fun show, made unforgettable with mind-blowing costumes, complex choreography, and outstanding performances from every single cast member. I can guarantee that this show is filled to the brim with fun, laughs and a good time, and is worth spending a little, or a lot, of time on.